10mm handmade nylon hair lip liner brush for your perfect makeup. The lip liner is made from light weight and soft material. It creates a perfect makeup t pout. It is a must-have makeup tool in your cosmetic bag. It helps to define and shape your lips and promotes a perfect contour for the lips. using the brush gives you a professional feeling. easy to clean and the hair is very flexible. 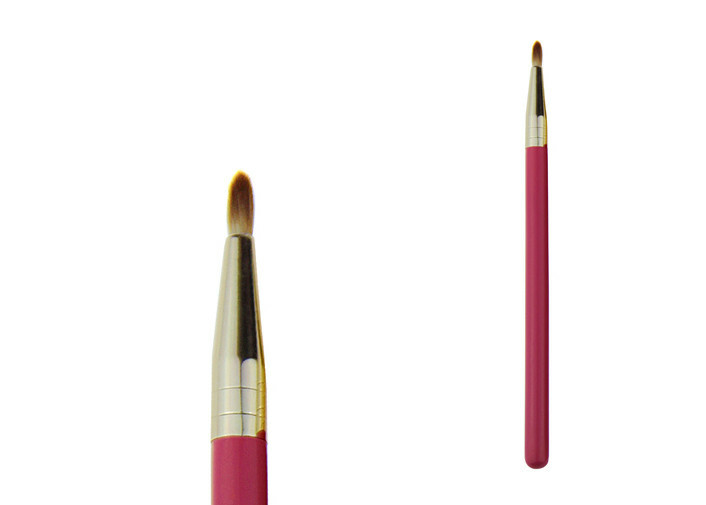 Each brush has its opp sleeve,sanitary and professional. Small in size,convenient to carry and use. Description 10mm handmade nylon hair lip liner brush for your perfect makeup. If do OEM, please provide original document in CDR,AI or PS for printing. There is professional designers who could help your design. We ship by China post air mail, E package, EMS, DHL, UPS, TNT, Fedex and so on. 1.China Post Air mail delivery time is around 15-60 days. 2. EMS usually takes about 6-13 days. 3. DHL, UPS, TNT, Fedex usually takes about 4-6 days. 4.E package usually takes about 7-14 days.